If you’re looking for more unique products for your home or your wardrobe, created by independent designers around the world, then Great.ly is the place for you. Great.ly brings togethers makers from all over the world and connects them to your favorite online tastemakers (bloggers, etc.). 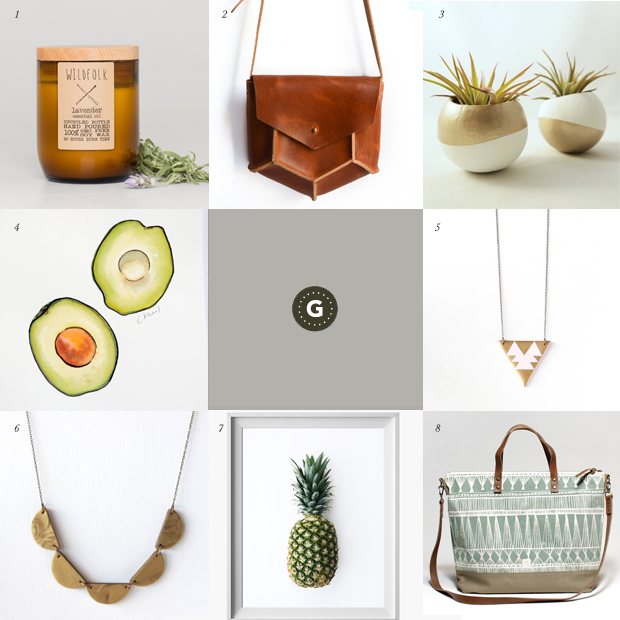 As a tastemaker, you can create your own boutique on Great.ly that curates your favorite products found on the site. As a maker, you have the opportunity to showcase your products to online communities created by these tastemakers. And as a consumer, you have a unique shopping experience filled with one-of-a-kind products you won’t find anywhere else. It’s a win-win-win. Check out some of my favorite products from my curated boutique below and be sure to get shopping! Loving the avocado print! I think that would be the perfect addition to my new kitchen!